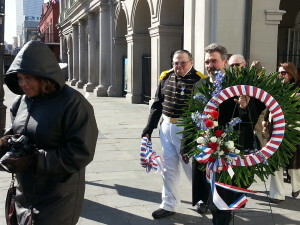 Jan 8, 1815 is the day recognized and celebrated as the Battle of New Orleans. It was the climactic battle of America’s “forgotten war” of 1812. 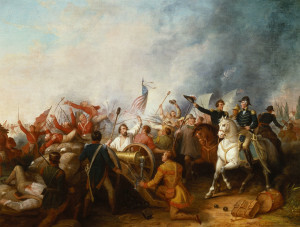 Andrew Jackson led his ragtag corps of soldiers against 8,000 disciplined invading British regulars in a battle that delivered the British a humiliating military defeat. 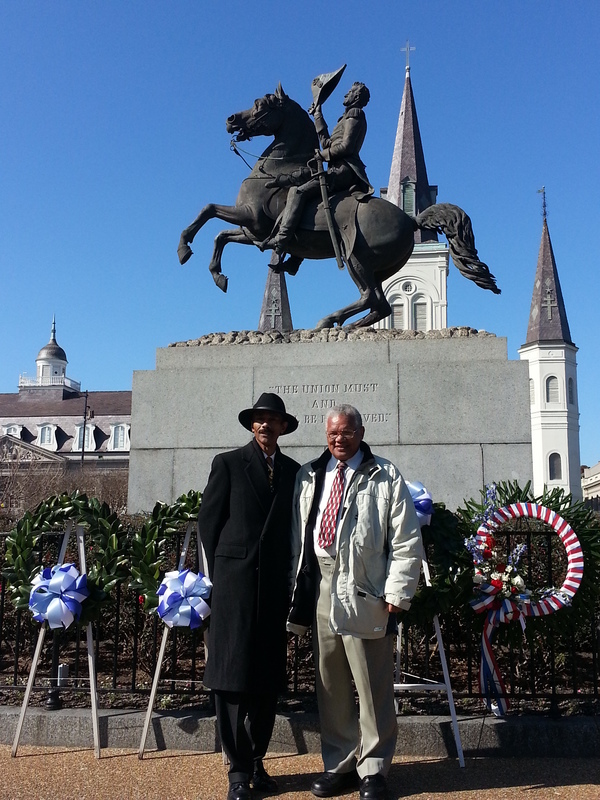 The victory solidified America’s independence and marked the beginning of Jackson’s rise to national prominence. 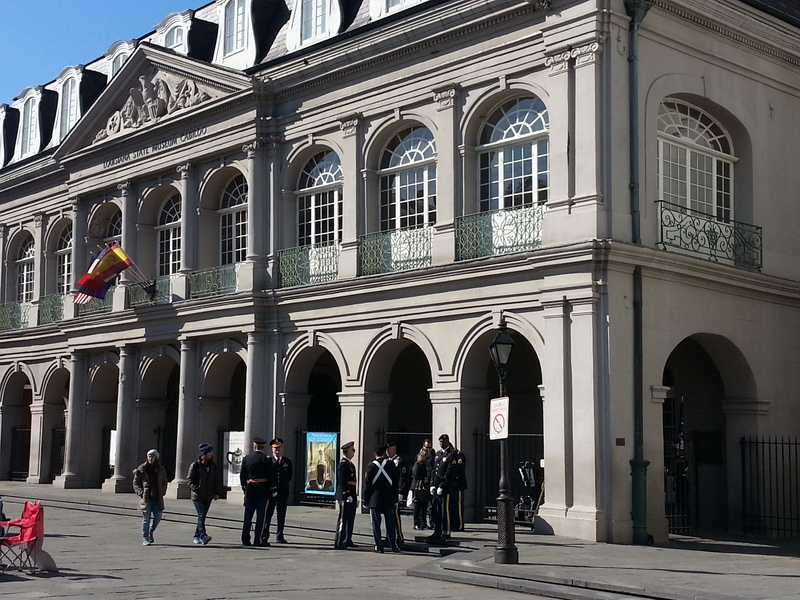 Hailed as “terrifically readable” by the Chicago Sun Times, The Battle of New Orleans is popular American history at its best, bringing to life a landmark battle that helped define the character of the United States. 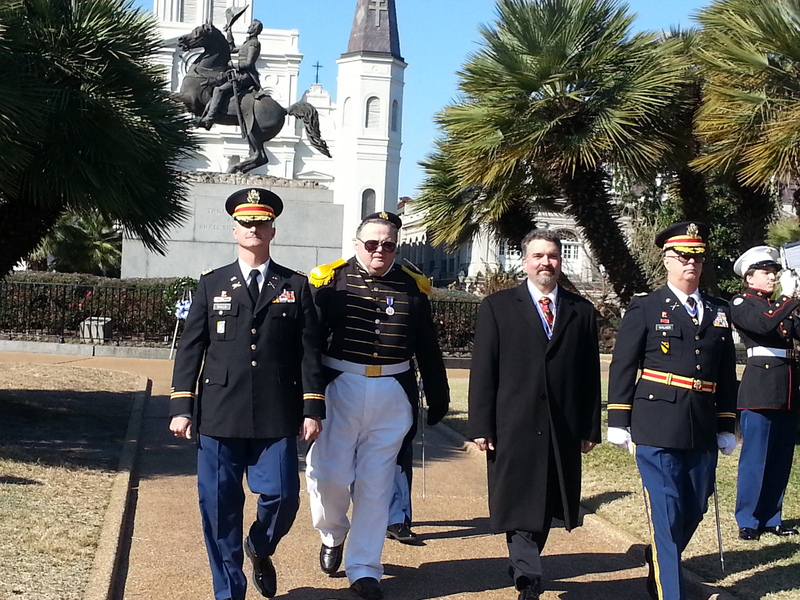 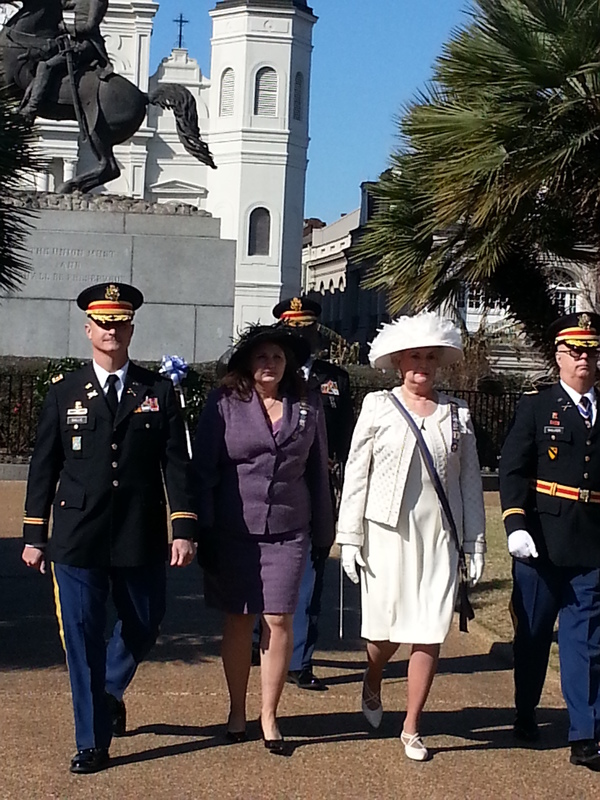 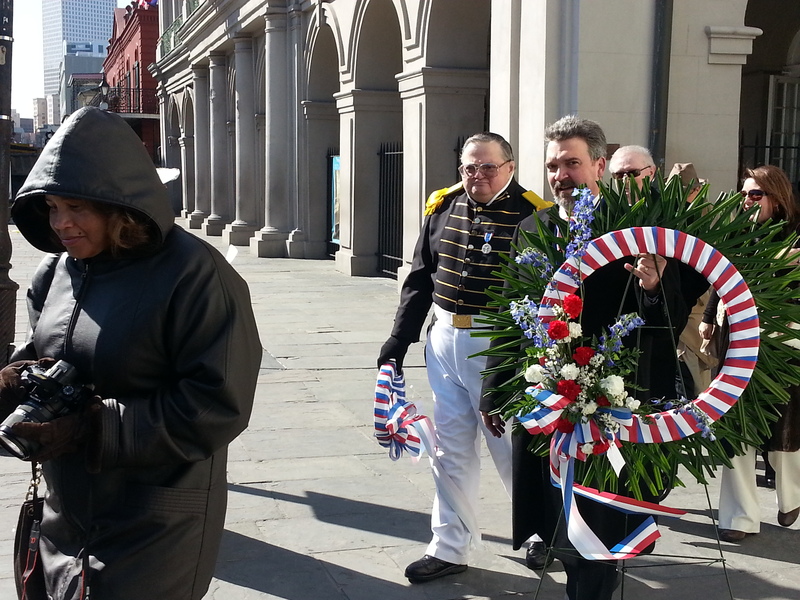 This year Jan 8, 2014, marked the 199th anniversary of the Battle of New Orleans . I am a descendant of a Free man of colored named Louis “Innocent” Mathieu Devaux. 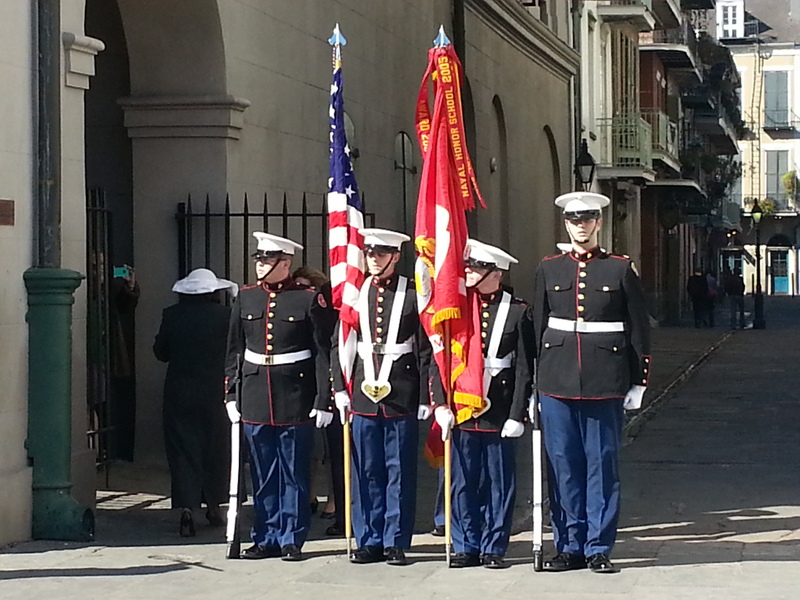 He was one of those men, a member of the First Battalion Free Men of Color who stepped forward and answered the call to arm. 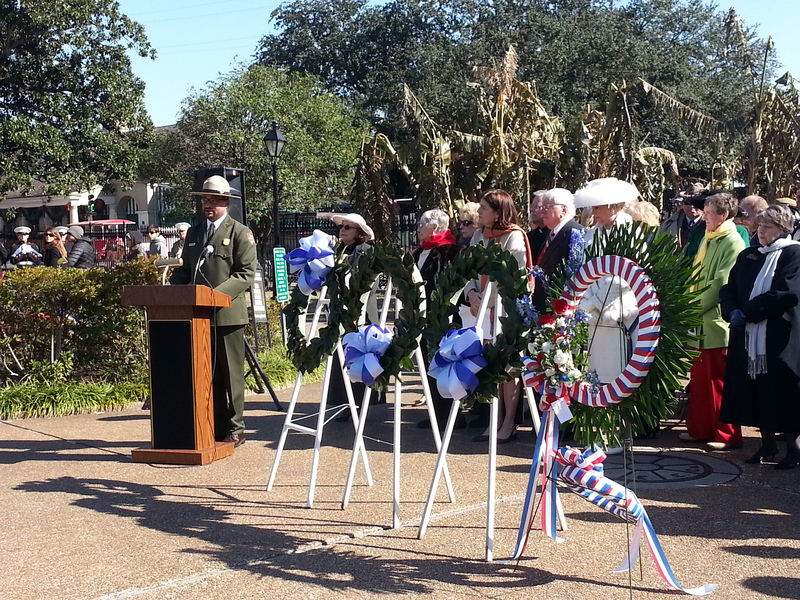 I was honored to attend this year’s commemoration and wreath laying ceremony coordinated by the National Society United States Daughter of 1812, New Orleans — Chalmette Cahpter. 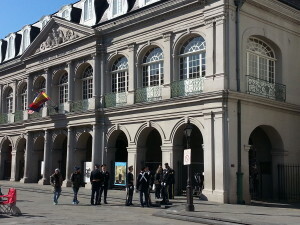 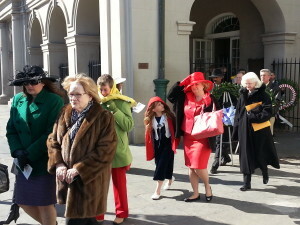 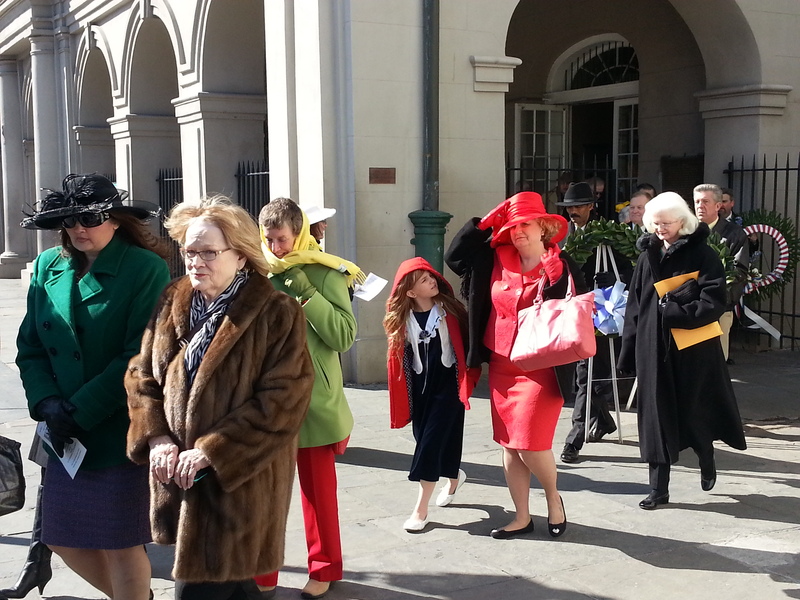 Many gathered first inside the Cabildo on this cool morning before proceeding to Jackson Square to witness this years ceremony of the 199th Anniversary of the Battle of New Orleans. 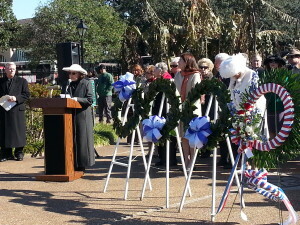 Below are a few more photos at this day’s event. 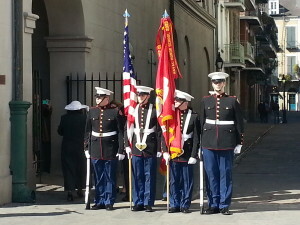 United States Marine Corps Color Guard. 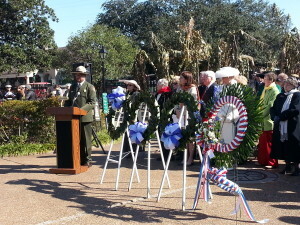 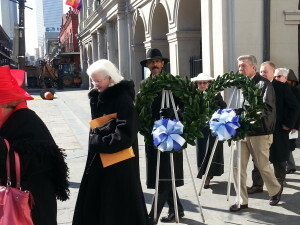 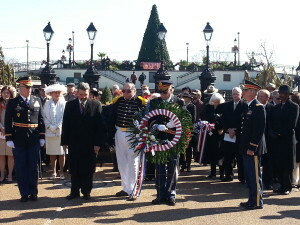 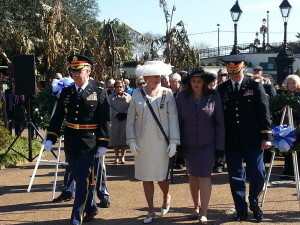 Michael Henderson carried out one of the Wreaths to be placed at the monument of General Andrew Jackson. 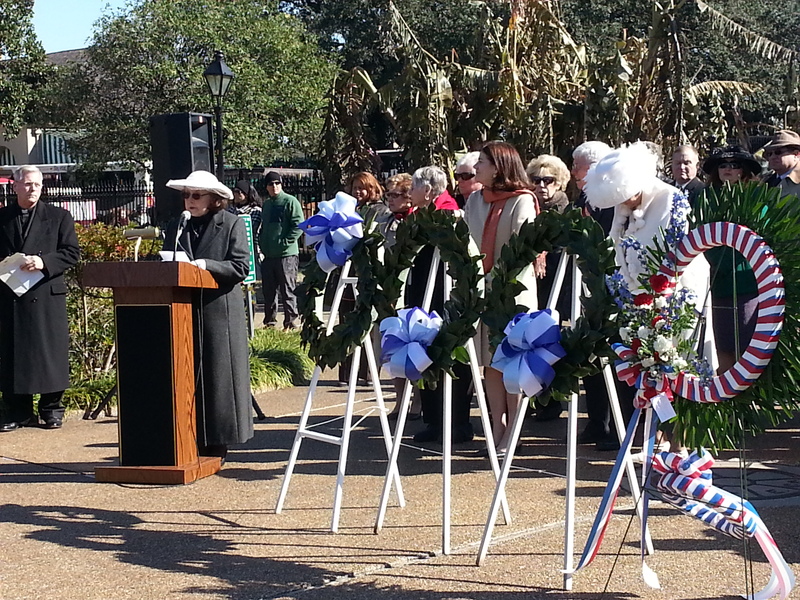 Bonnie Pepper Cook, National Society United States Daughter of 1812, New Orleans — Chalmette Chapter presents a few opening remarks.